Can Cats Eat Tomatoes: Red or Green? Cats are often finicky about what they eat and every cat owner will surely know this. 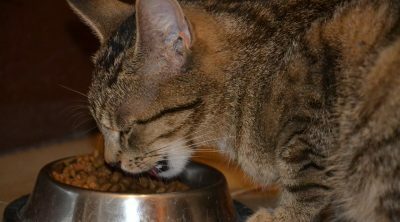 We are often tempted to feed our cats things off our plates, but is that safe for them? Some ingredients or foods that are perfectly safe for people are quite harmful for cats, and may even be deadly. I know that my cat loves tomatoes. But can cats eat tomatoes? Having heard that tomatoes are harmful for cats, I worry each time my cat eats a tomato. 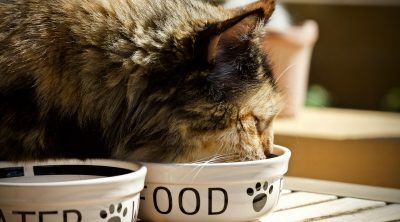 As your cat is likely to eat foods lying around the kitchen, you really have to know what foods can make him ill. Read on for more information on safe foods for your cat. 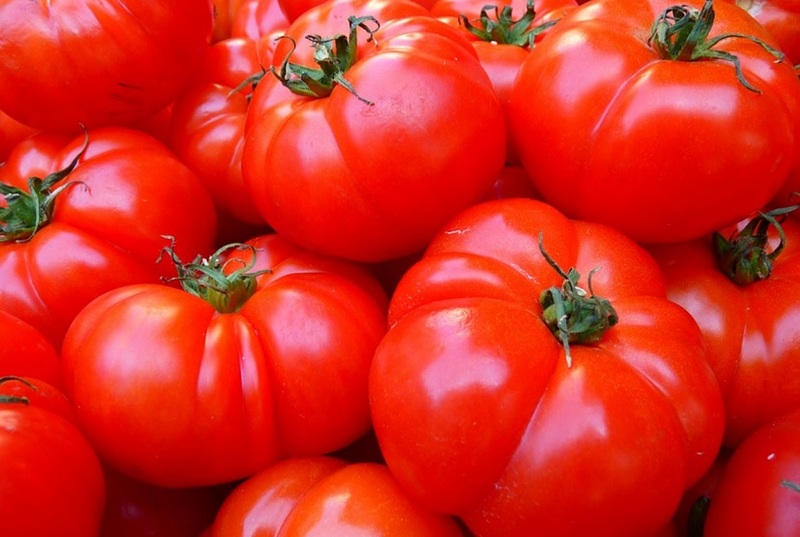 Can the Toxicity of Tomatoes Cause Death? The short answer is yes. Cats may eat tomatoes, but only after the tomato has been cleaned, seeds have been removed, the tomatoes have been chopped, and the pieces are bite sized. Tomatoes can be a choking hazard for your cat given the small size of the mouth and throat. Seeds can also become caught in the throat of digestive system and become a blockage. Tomatoes are not going to hurt your cat per se, but you need to know what part and form of the tomato is not safe for cats. Below we have explained what types of tomatoes are safe and unsafe for cats. Your cat is not likely to eat raw or green tomatoes as the taste and texture are not appealing for most cats. However, your pet may nibble on the stem and leaves. The stem and leaves of the tomato plant are very toxic for cats as they belong to the poisonous nightshade family. You must be very careful to keep these away from your cat. If you are growing tomatoes at home and your cat is free to wander, be a responsible pet owner and fence around the plant to discourage any nibbling by your cat. If you cannot seem to dissuade your cat form nibbling on the tomato plant, try to raise the plant to an area out of sight or out of reach of your cat. The solanine found in the green parts of the tomato plant is a glycoalkoloid that is found in several other plants that belong to the Solanaceae family of plants. When eaten by cats in small quantities, it does not cause too much harm; however, if eaten in large quantities, it can cause serious poisoning. It can cause critical gastrointestinal discomfort, including diarrhea or vomiting. Your cat may also experience weakness, lethargy and confusion. 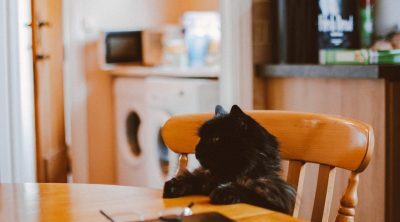 If you notice your cat has been in your garden a while and is exhibiting these symptoms, there may be a high probability that your cat has become poisoned. 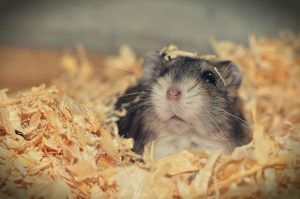 Visit your vet right away to purge the contents of the stomach and prevent any further poisoning or side effects. Tomatoes also have another toxic element that is known as tomatine. It is found in unripe tomatoes, but the level decreases when the fruit becomes ripe. Tomatine is actually more toxic for cats in comparison to solanine. Additionally, unripe tomatoes also contain nicotine, which also decrease in quantity as the fruit ripens. The ripe tomato is usually eaten by people and is believed to be non-toxic. Eaten in a suitable quantity, tomatoes are reasonably safe for a cat to eat. You may feed your cat fresh, ripe and red tomatoes, or cook them and add to your cat’s meal. Adding chopped tomato to your cat’s meal may liven up the dish, add a bit of a variety, and boost their vitamin intake in a natural way. 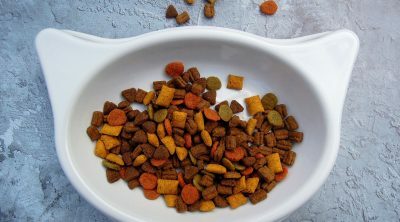 You may even choose to use tomato puree and mix in with your cats kibble as a nice treat. Some cats may have an allergy to tomatoes. This fact has been confirmed by cat owners who have observed that their cats experience all the symptoms that are reflective of allergy. I read about an incident where a cat was allergic to cherry tomatoes. Although such incidents are not very frequent, there is a possibility that your cat may be allergic to ripe tomatoes and you must avoid any situations where your cat has access to them. 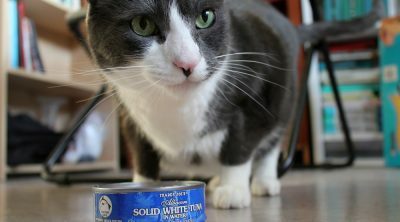 With cats receiving their basic nutrition thorough their cat food, do not feel guilty if you choose to avoid adding tomato into the diet of your cat. If your cat has a sensitive stomach, or allergies to certain foods, there may be an increased risk of reaction to eating tomato. If you feed your cat tomato anyway, and discern a reaction to the food, watch for any serious side effects and take your cat to the vet right away if extreme side effects occur. If your cat has only eaten a small amount, the reaction should be minimal and easily resolved. If your cat has eaten a larger amount, the seriousness of the reaction will warrant a visit to the vet. Some websites state that all kinds of tomatoes and all parts of the tomato plant are toxic for cats. They claim that eating even a little tomato may cause serious digestive problems to your cat. Tomatoes have a highly acidic texture and a lot of ingredients that may not be able to digest well by cats. All kitties differ in their tolerance of foods and your cat may be one who loves tomatoes without any side effects. Verifying with a professional is the best way to go in determining tolerance, and watching your cat’s reaction will tell you all you need to know. If you read the ingredient list on most cat foods, you may see that tomatoes are often one of the components listed there. The fact is that these are always ripe tomatoes and raw tomatoes or leaves are never an element of any commercial cat foods. This is because cat food companies have conducted research and established the fact that tomatoes are safe foods for cats. Some websites claim that only green or unripe tomatoes are the only kind harmful for cats. If these tomatoes are cooked, the toxic content is destroyed and the tomatoes then become safe for cats. However, research shows that the toxic elements in unripe tomatoes are not destroyed when they are cooked or dried at a high temperature. Apparently, only these processes destroy the enzymes which create the alkaloids, the actual poison does not get destroyed. The good news is that the toxic content found in tomatoes is not very strong. Therefore, a comparatively large amount of this content is not likely to cause death for a cat. Although your cat may become seriously ill, the severity of this illness isn’t so much that the cat may be at risk for his life. 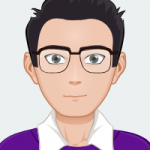 Most of the toxic content will be excreted in the form of feces or urine. 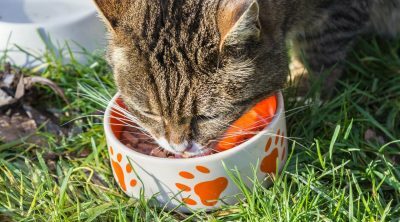 If your cat is allergic to tomatoes, there is a possibility that any small quantity consumed by your feline will surely cause serious harm to the cat’s health. Ripe red tomatoes are most likely to be safe for your furry friend and adding them to your cats diet in moderate amounts will be safe. This is probably the most dangerous place for your cat. If your feline buddy gets into the tomato patch, he might eat either the fruit or other parts of the plant. Yes, cats can eat tomatoes but only ripe red ones and in reasonable quantity only. It is advisable for you to discuss all your queries with your veterinarian for resolving all your confusion if there is any.